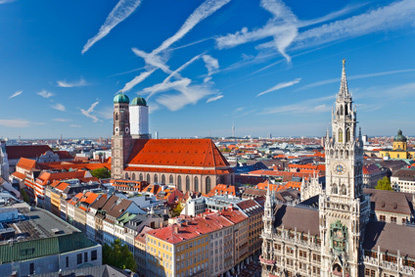 Capital of Bavaria, Munich is the third largest city in Germany. Badly damaged in WWII, the city has recovered well and its prosperity transpires in its chic boutiques and its rich cultural scene. The Oktoberfest, the world's largest beer festival, attracts millions of visitors every year. Munich hosts the HQ of many top companies like BMW, Siemens, or Allianz.